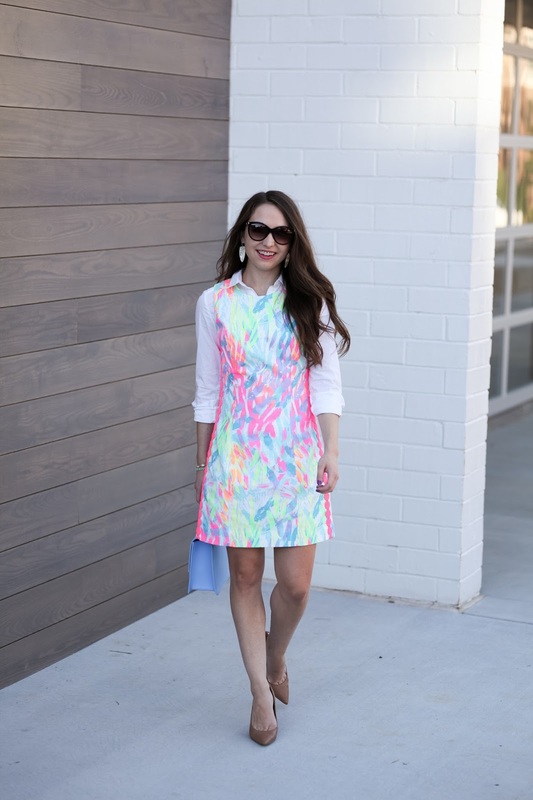 Ever since I started working full time last year, I have always tried to figure out how to make Lilly Pulitzer dresses (that are typically thought of being worn on vacation) office appropriate. And I have found that the easiest way to do that is to just a button down shirt and heels. 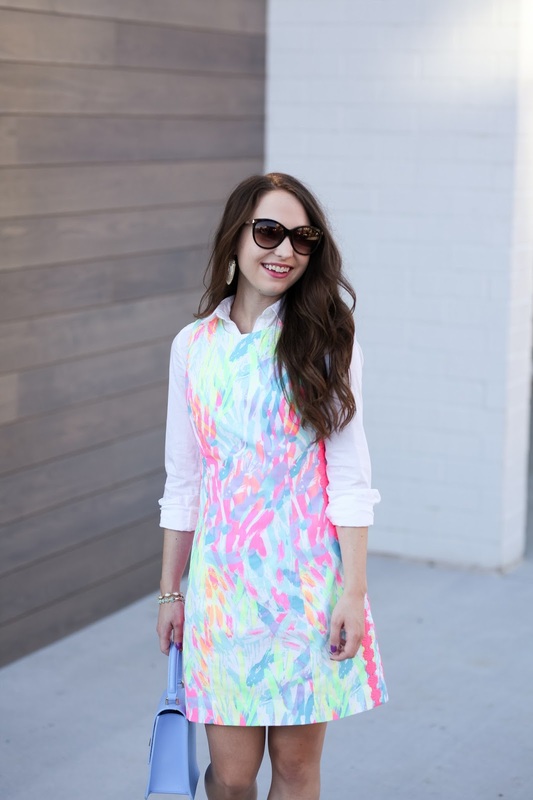 I scored this dress for about $100 off during the recent Lilly Pulitzer sale, and I am so excited I found it! 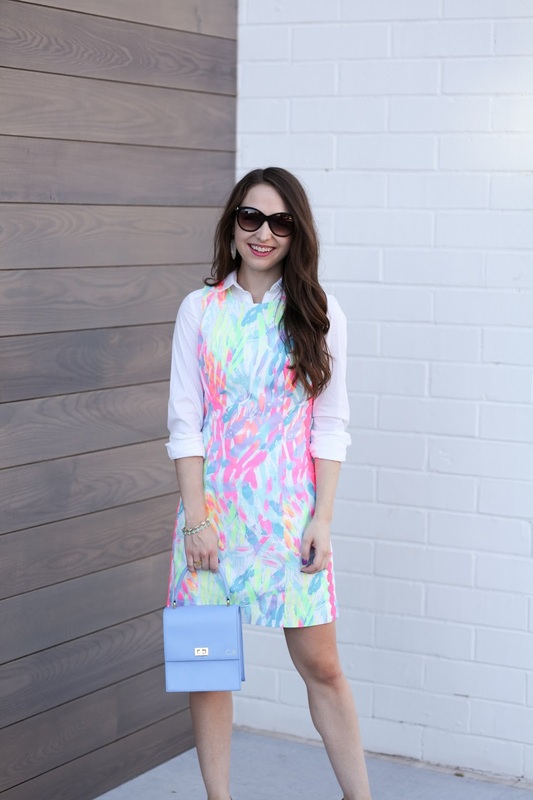 I now have this style of shift dress in 3 prints, I guess I just can't get enough of it! It is such a simple silhouette that can be dressed up or down with different shoes, jewelry, and bags. 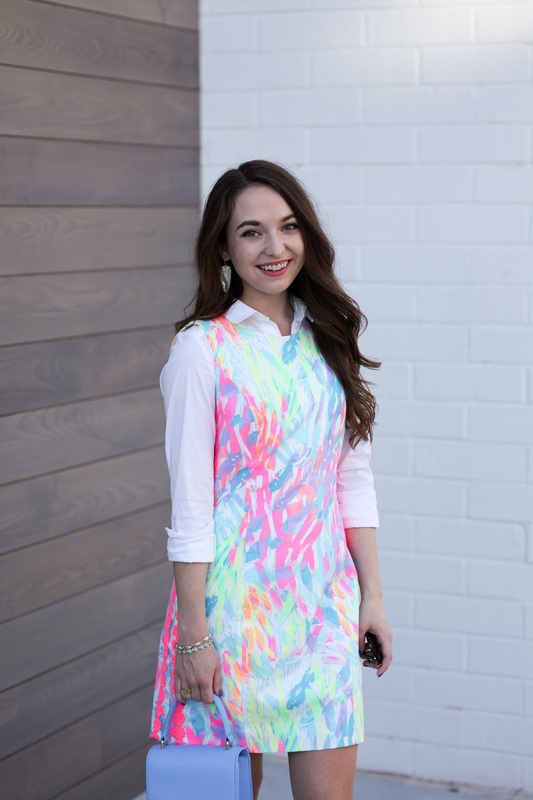 I typically find myself reaching for this style of dress for brunch, church, shopping, or work! 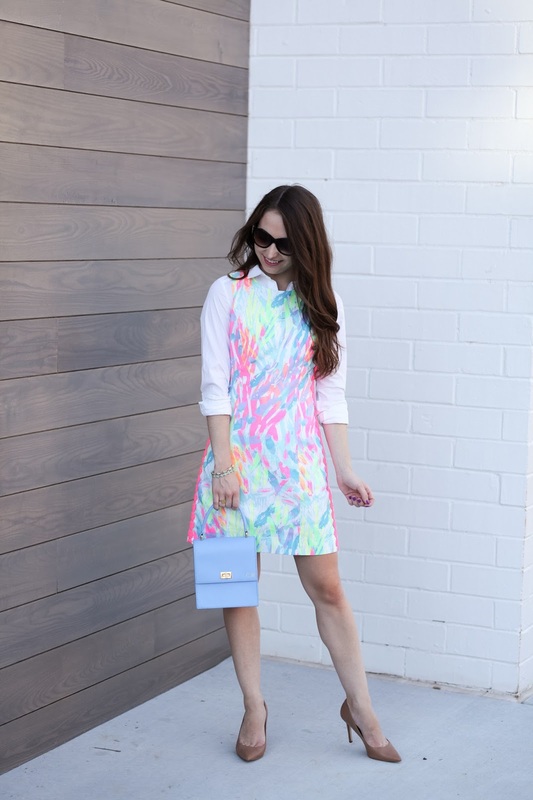 I love love love how you made Lilly office appropriate!! I'm finally getting my first APS shipment in and I can't wait! This dress looks so cute on you, Cara! I love how you styled it with a button down to make it work appropriate!